For February I will make a quick post about how I did recently. The market has been propelling higher but recently there has been some pull back. Right now prices are really bad for buying as it's expensive. I hope prices will settle back down which they seem to be doing. I will not be buying any new positions for the next month as there are some uncertainties that I may need the cash for such as tax filing and traveling. I estimate by mid April I will have a lot of cash to invest and hopefully by then the market has declined. February is over. 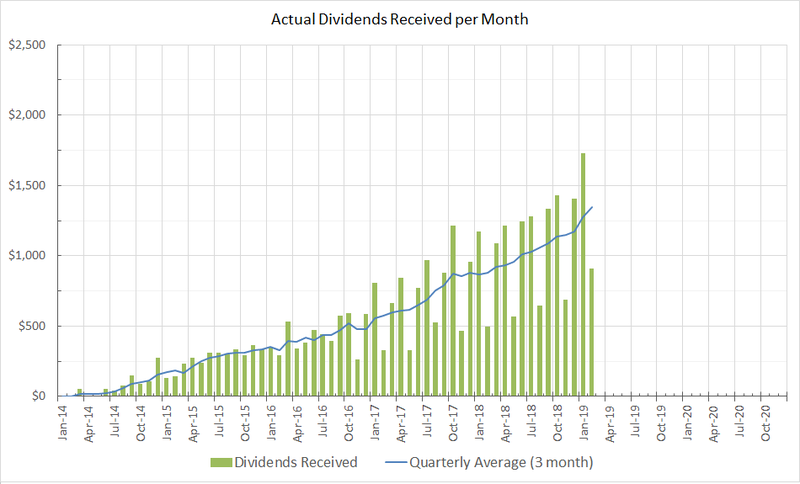 The favorite time of the month for me is in the beginning of the month when I count up the amount of dividends I got paid for doing nothing in the previous month. Total income is $907. It looks like my worst paying months are crossing the $900 level. Soon all my months will be paying 4 figures. Very healthy momentum going forward. The snowball appears to be moving now slowly. Everything is going according to plan except the dividend cut announcement from Kraft Heinz (the company was replaced in my portfolio plus additional cash with Boeing). The past 3mo quarterly average is moving up steadily and sits at $1346. 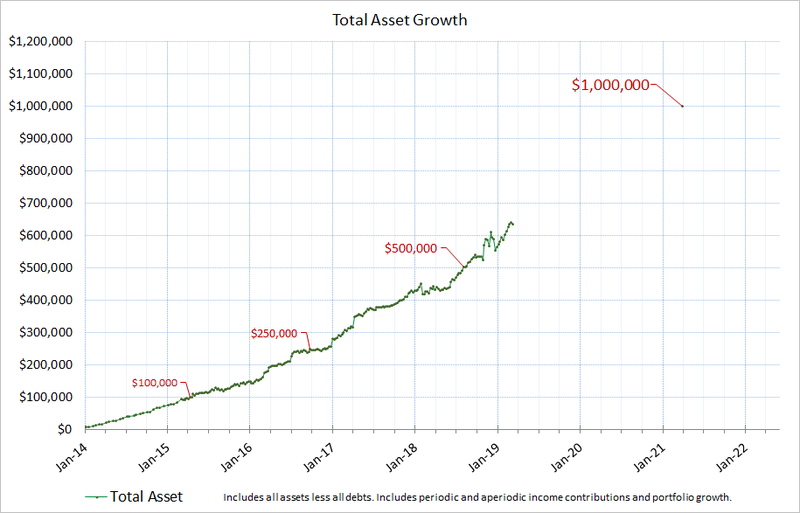 Currently my portfolio will generate $17,261 in the next 12 months. For March I am expecting $1600 and April $1690.